Socially responsible fashion girls and denim heads alike have always depended on AG to deliver contemporary staples that double as beloved heritage pieces. Whether it’s wide-leg trousers, oversized blazer jackets, or super cozy sweaterdresses, the Los Angeles lifestyle brand has a way with sophistication — and giving back. 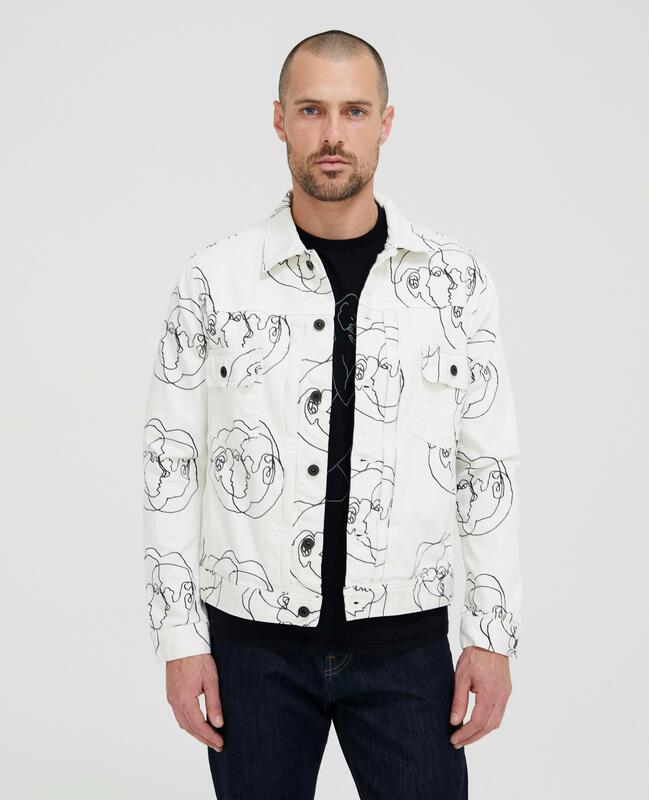 This spring, the label is using its most versatile silhouettes as a canvas for L.A.-based Swiss contemporary artist Blanda. Scroll through Blanda’s Instagram feed and you’ll recognize the illustrator’s trademark style of collage-like drawings, which unabashedly celebrate women’s bodies. Naturally, the highly anticipated AG & BLANDA collab only amplifies Blanda’s abstract aesthetic — the capsule is inspired by Newton’s Third Law, as well as by women, water, and the interconnectedness of the human experience. And, in keeping with its ethos, AG has further committed to significantly cut down its water usage for denim production and donate a portion of sales from the AG & BLANDA capsule to Water For People, a nonprofit org that provides safe water to those in need. Take a closer look at the collection ahead — and think of these as wearable works of art (because they are). As with everything from AG, you can bet that the pieces in this limited-edition launch will become instant classics. Inspired by the concept of Newton’s Third Law (which describes how things are set in motion, based on the push-pull of physics), this illustration, titled “Third Mind,” depicts the merging and reaction of two creative minds. If that isn’t a good conversation starter for a denim skirt, we don’t know what is. It’s the "Third Mind" drawing again, this time emblazoned on a unisex denim jacket. If you prefer to make this the statement piece, pair it with a simple tee and jeans. For a bigger, eye-catching moment, layer it over another bold print. If you’re gonna own a simple black sweatshirt (and you should), make it a memorable one. This Blanda-illustrated piece, titled “Dancers,” is a celebration of movement, the physicality of women’s bodies, and the harmonious push-pull of choreography. Plus, it’s a black sweatshirt, which means you’ll wear it all the time. A simple, boxy cropped tee that you’ll live in all summer long. It hits at the sweet spot right above the hips — short enough that you don’t have to tuck the shirt but long enough that the coverage works with high-waisted bottoms. 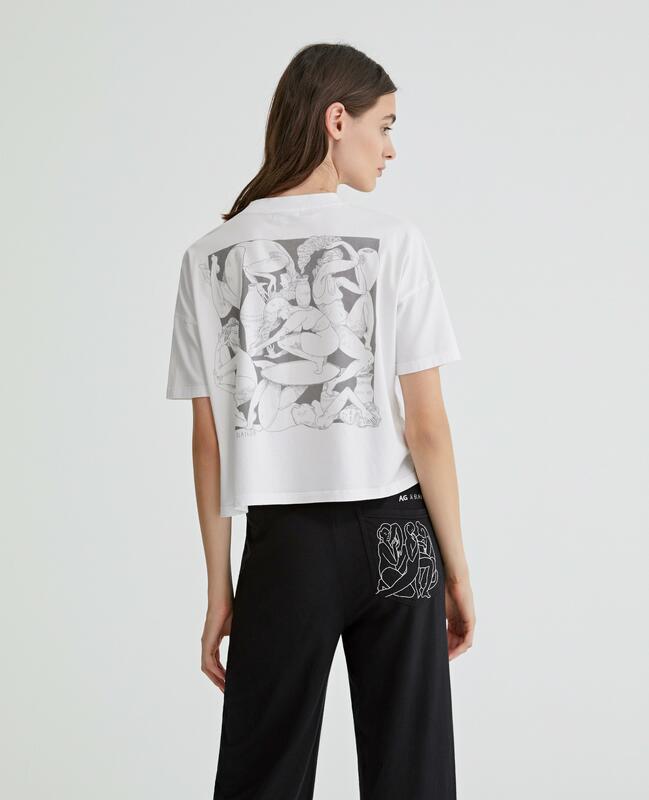 If this is the next generation of the lounge pant, then we want in. 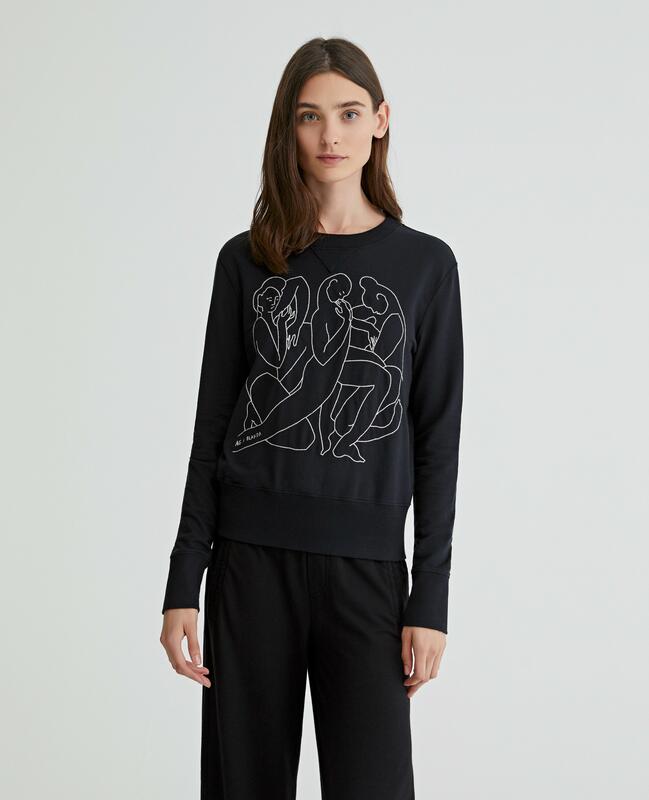 It’s a luxe knit style that is not only ideal for a cozy night in but also casual as an everyday trouser thanks to the wide legs and slightly cropped hem.